Dude guys. 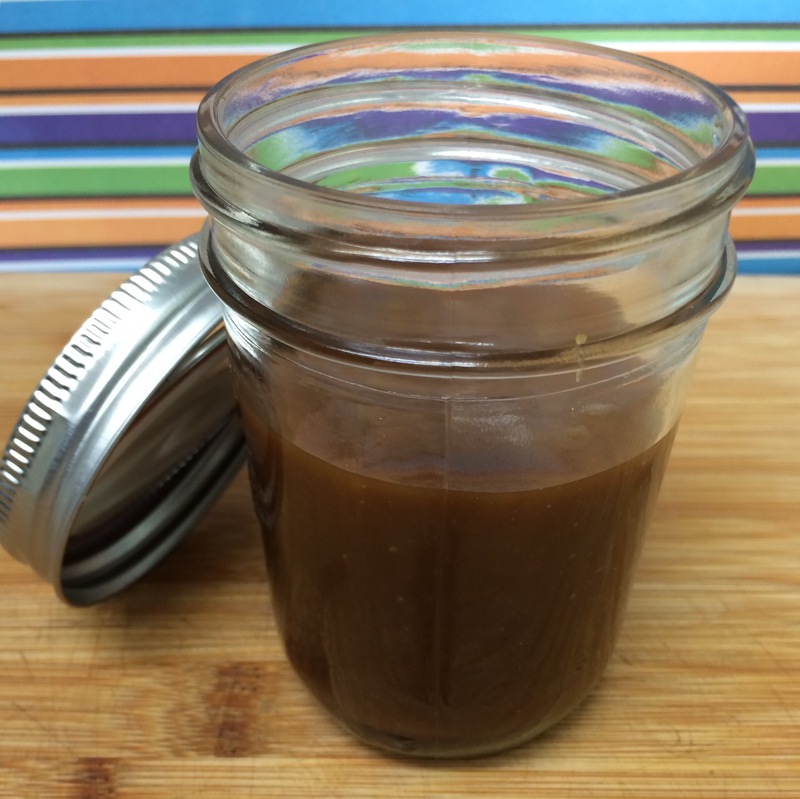 I made caramel. 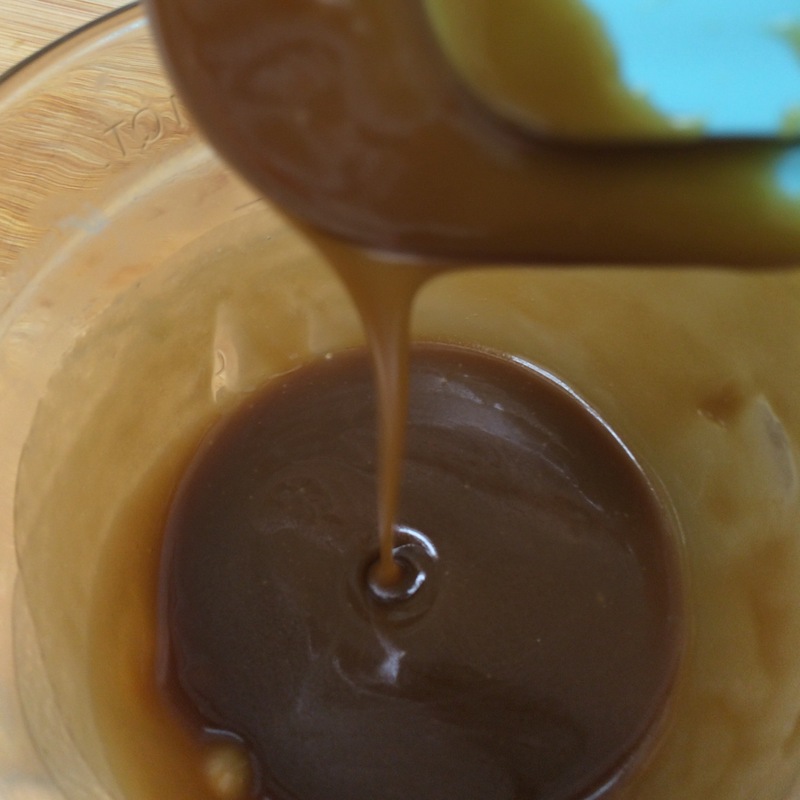 If you haven’t seen my caramel post, check it out here. 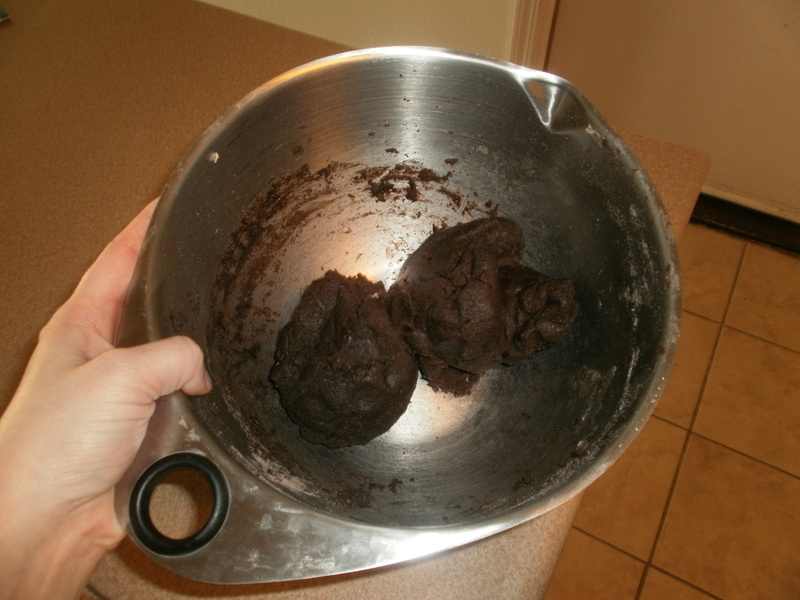 So then I made some brownies. Just boxed brownies cuz I was in a hurry. 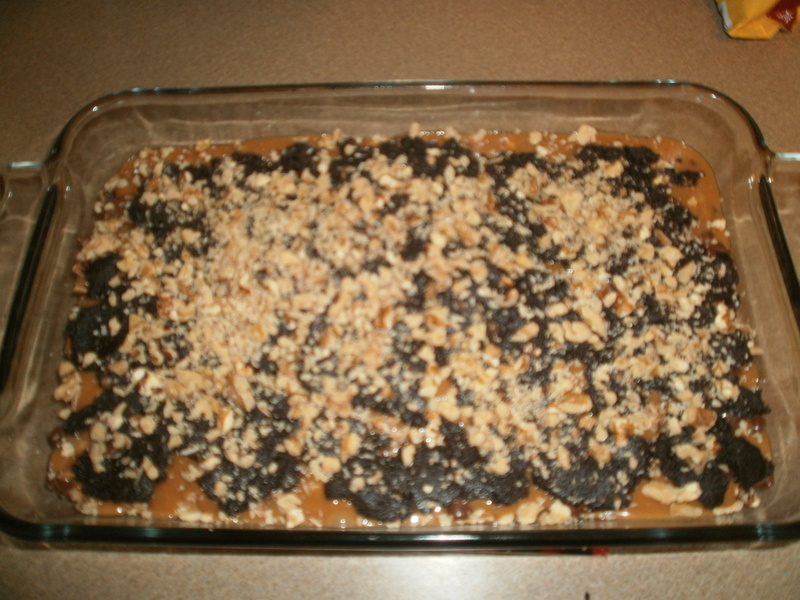 Then I dumped a bunch of that caramel into the batter. 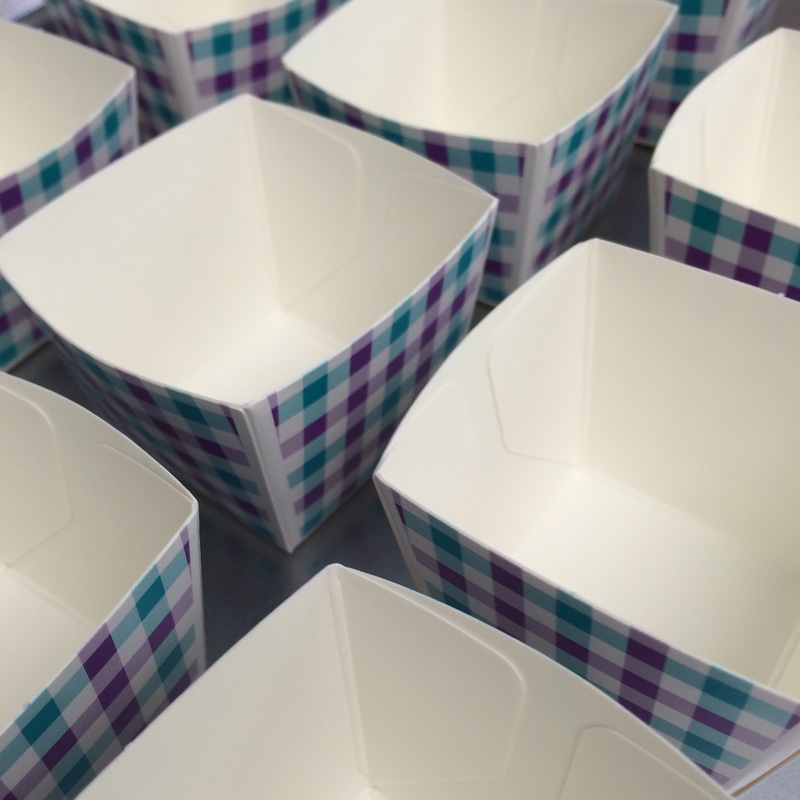 Mixed it up well, then poured it into these cute little baking cups. I bought these a while back and never got a chance to use them. 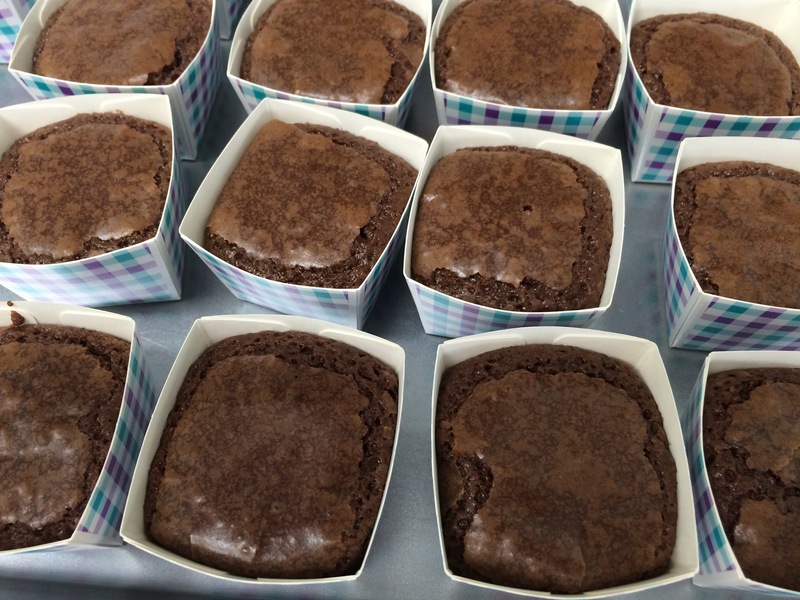 I thought they were perfect for individual sized brownies! 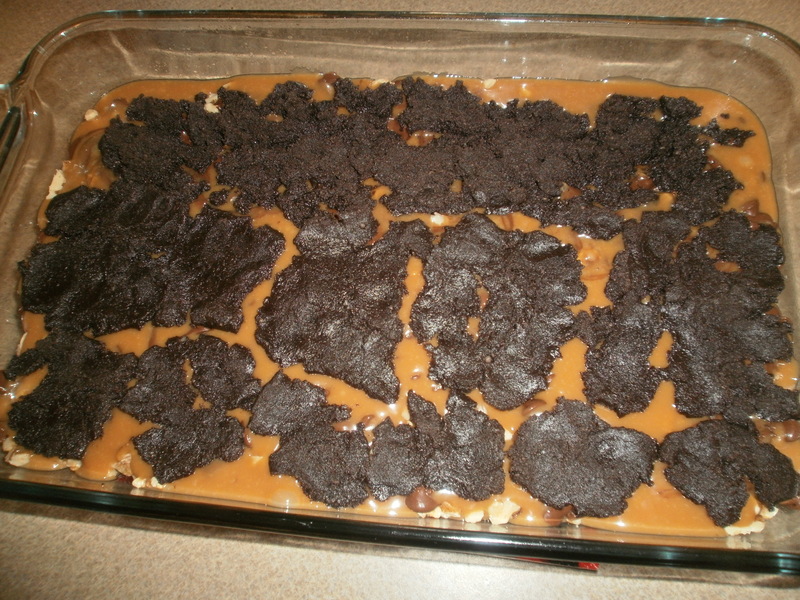 Since the caramel was IN the brownie batter and they were not standard sized, I had no idea how much to fill them or how long to cook them so I kind of had to just wing it. I went about 1/2 way up, and baked at 325 for 38 minutes (I started at 30 and checked them, then added a little time as necessary). When the toothpick came out clean I pulled them out to cool. I definitely didn’t want to over bake them and dry them out. I made these for a wine tasting party we had. They paired nicely and they were perfect little proportions! Dude guys. 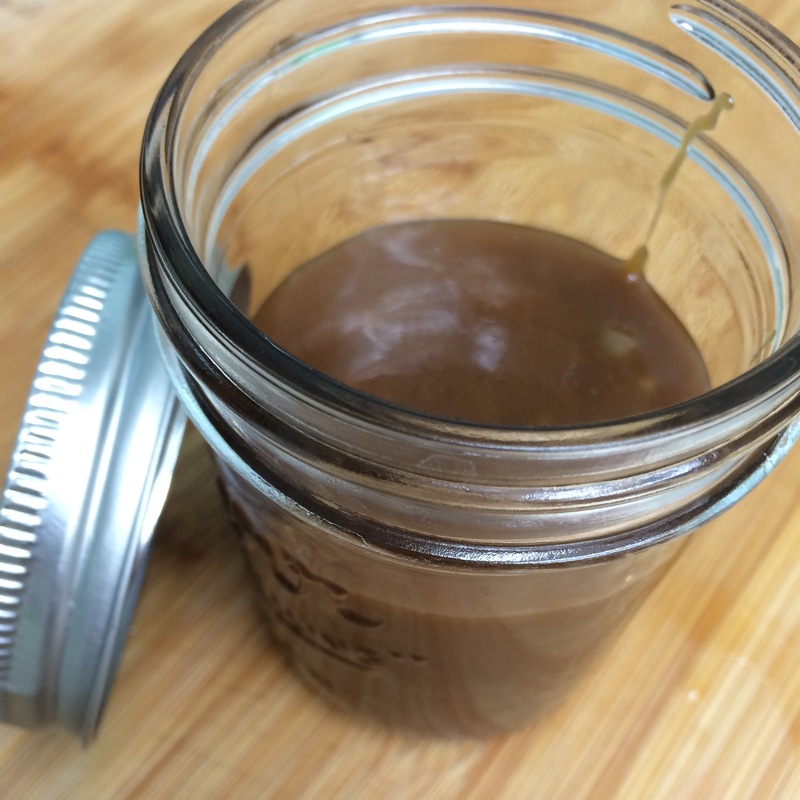 I made caramel. From scratch. In like 5 minutes. And it’s amazing! 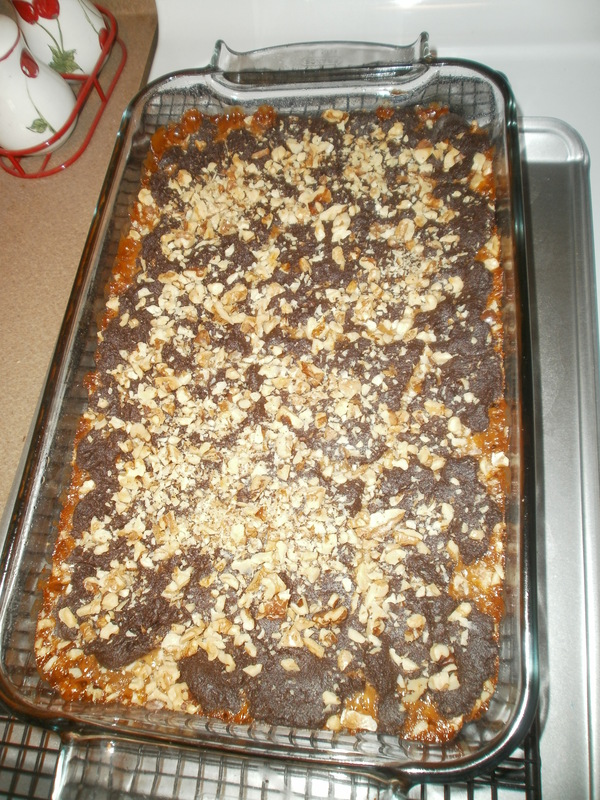 I used this recipe from Cookies and Cups. You cook it in the microwave! 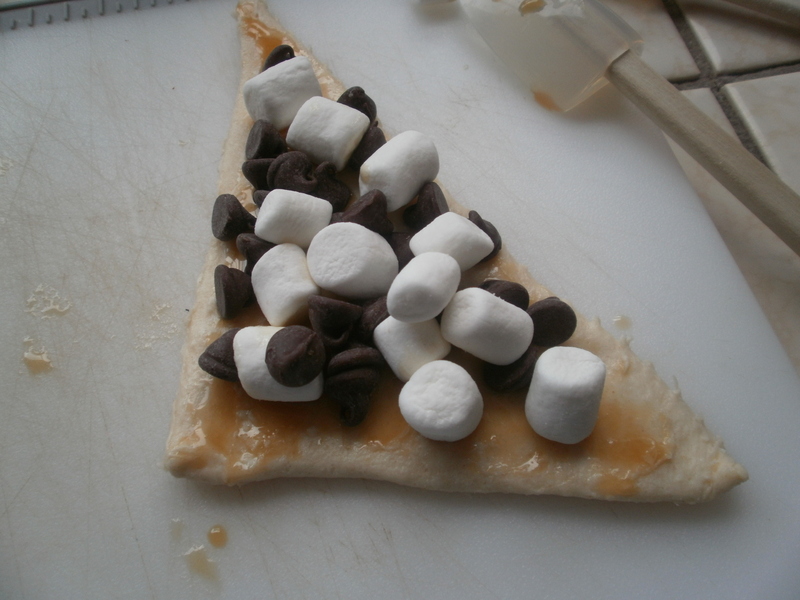 There are only 5 ingredients, most of which you will already have on hand. And did I mention it only took like 5 minutes?! 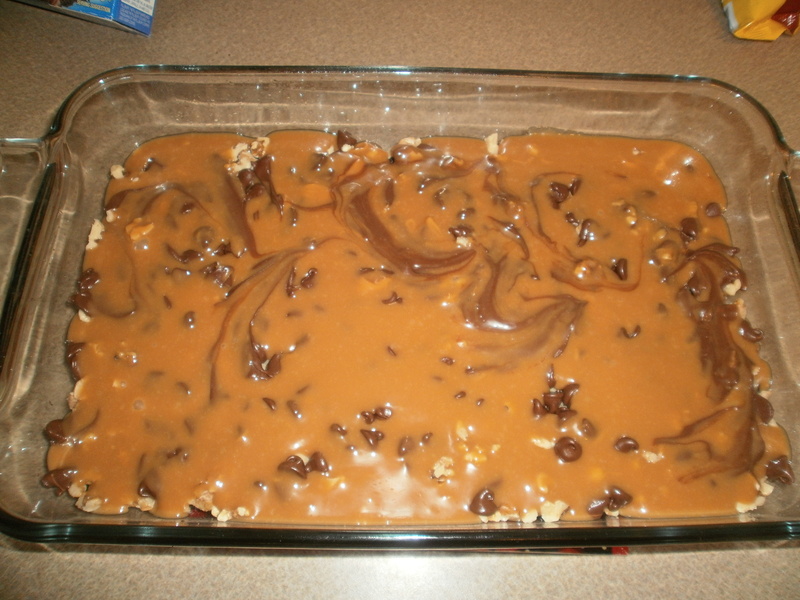 Later this week I will share a recipe I used with the caramel! These cupcakes are life changing. I’m going to just get right into it. 1. 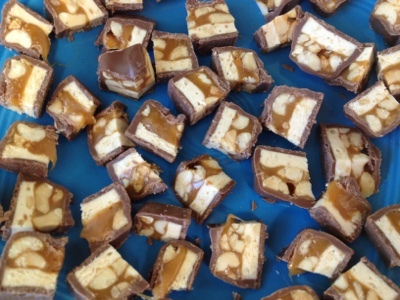 Cut snickers into small pieces, spread out on a glass plate, and put into the freezer for 30 minutes. This will keep them from melting when you bake the cupcakes. 2. Mix together the water, oil, and 1/4 cup brown sugar. 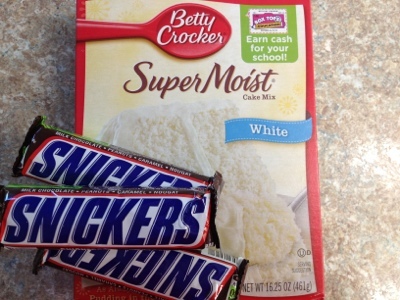 Slowly add the cake mix until fully combined, then add the eggs. 3. 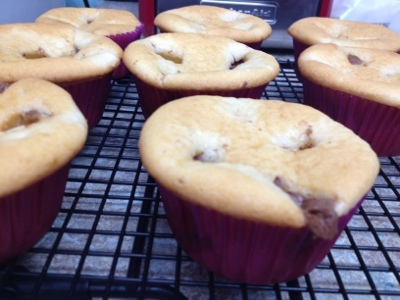 Use a cookie scoop or a 1/4 cup to scoop batter into your cupcake liners. 4. 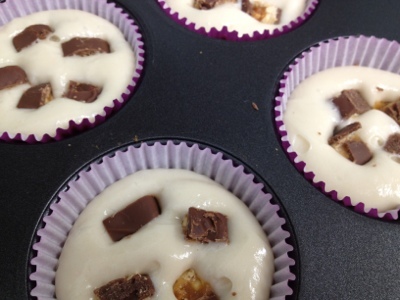 Remove the snickers pieces from the freezer and shove a few into each cupcake. 5. 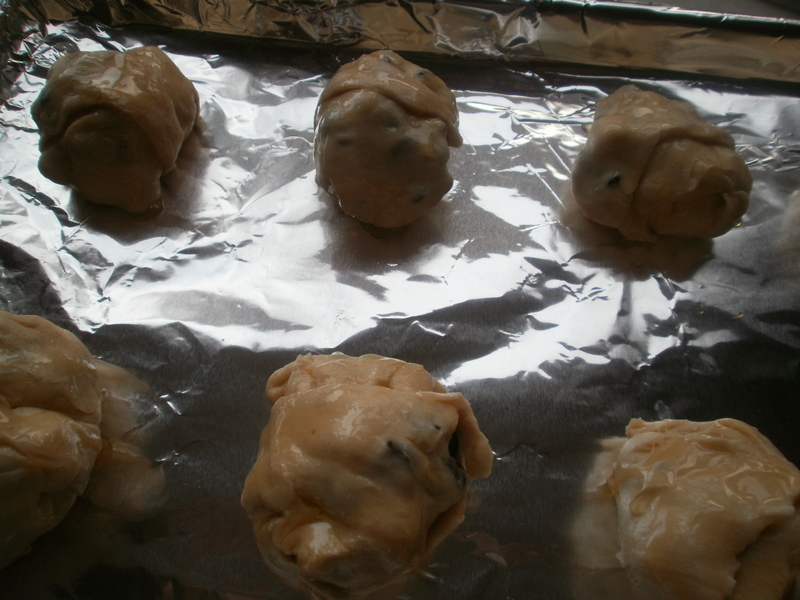 Bake at 350* for 18-20 minutes. 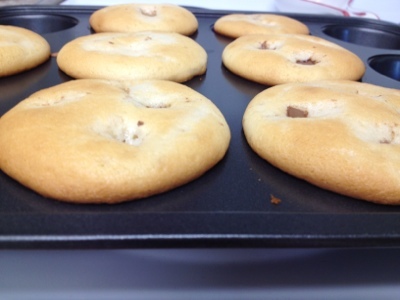 Mine came out puffy but sank in a bit after cooling. I don’t know if this is because I forgot the eggs or if they will do that anyway, but I thought I would mention it just in case it happens to anyone else. 6. 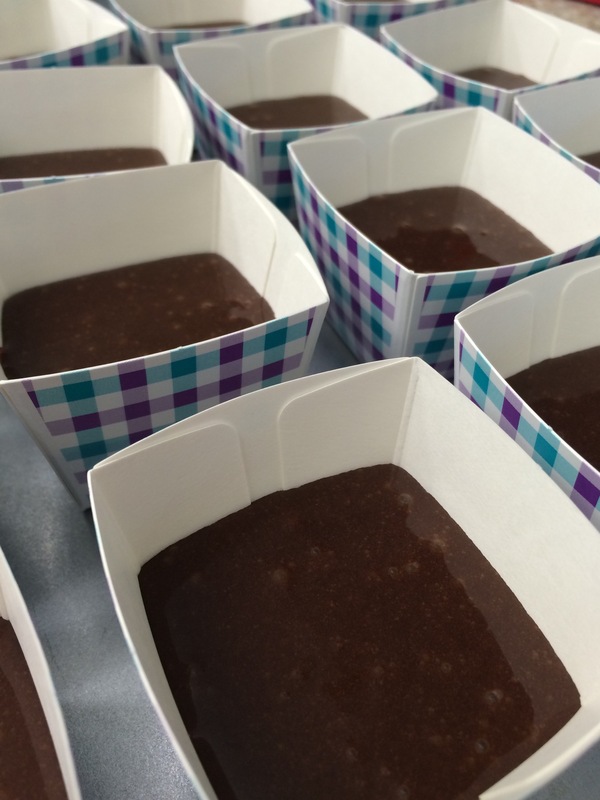 To make the frosting, mix together the butter and cocoa powder, adding the milk slowly to make a fudgy paste. Add the vanilla, then slowly mix in the powdered sugar. 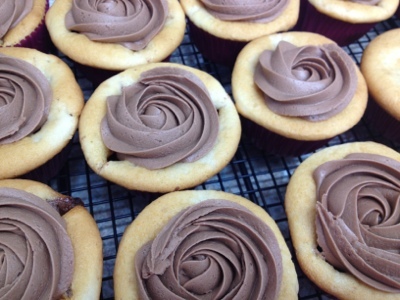 This frosting is not too chocolaty, because the cupcake is really sweet and rich already. 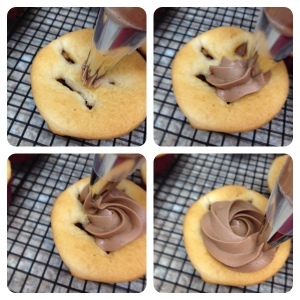 I took a couple photos to show how I made the frosting roses. 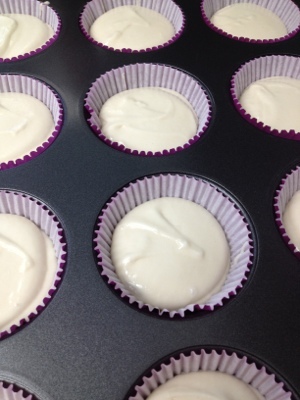 You basically start in the center and go around in a circle while squeezing out frosting. When you get to the outside, stop squeezing and pull to stretch the end of the rose. 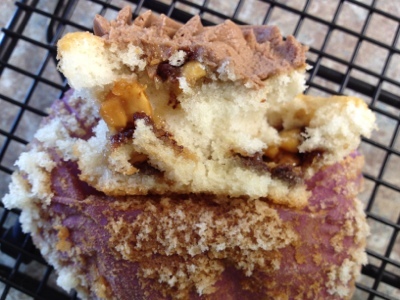 The insides are gooey and rich, and absolutely perfect! Okay so I have mentioned before that I don’t really like chocolate that much. Basically I don’t like chocolate just by itself. 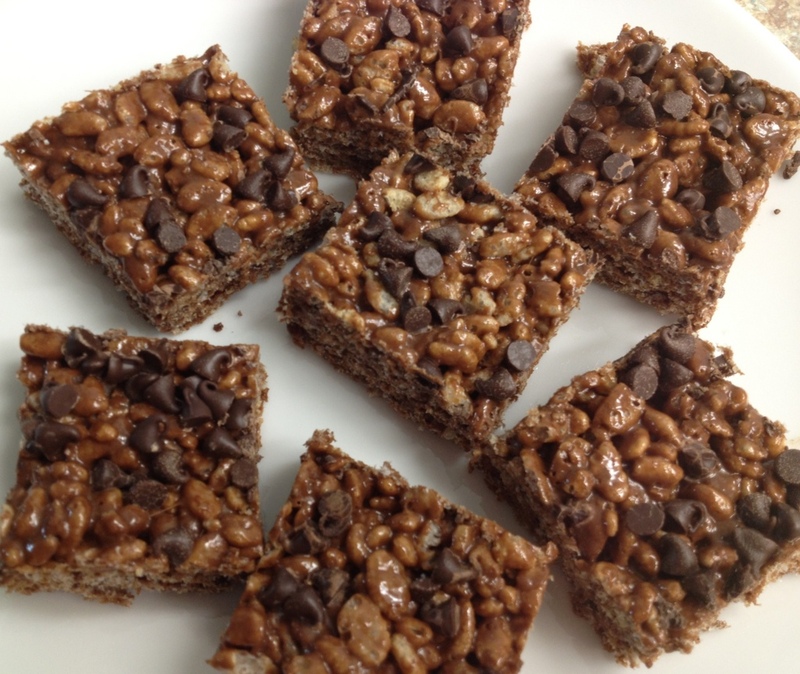 No chocolate cake, brownies, chocolate bars… the exception comes in when you add stuff to it. Nougat, caramel, nuts… I love Milky Way, Snickers, Sees caramels in the nuts and chews box.. mmm… So anyway, I don’t eat brownies. Like never. About a month ago, a coworker and I had a play fight over him eating too many of the sugar cookies I brought in to work… somehow the result of this play fight was him trying to “out do” me and bring something yummier than my cookies. So he brings in brownies. I had to let him down with the news that I don’t like brownies/chocolate, and he INSISTED anyway that I try one. Ugh, fine. I took one and it sat on my desk a few hours before I figured what the hell.. and took a bite. O.M.G. – Heaven. In my mouth. Like Seriously. I was a little too embarrassed to tell him that I was in love with it, after just telling him I don’t eat brownies. I did however, go back for another before they ran out! By the end of the day I did confess that the brownie was the best thing I have ever eaten. He promised he’d bring me the recipe, but kept forgetting… But I decided I wanted to make them for a wine party I was going to last night. (Wine+chocolate=perfect, right?) He was kind enough to finally remember to get me the recipe. 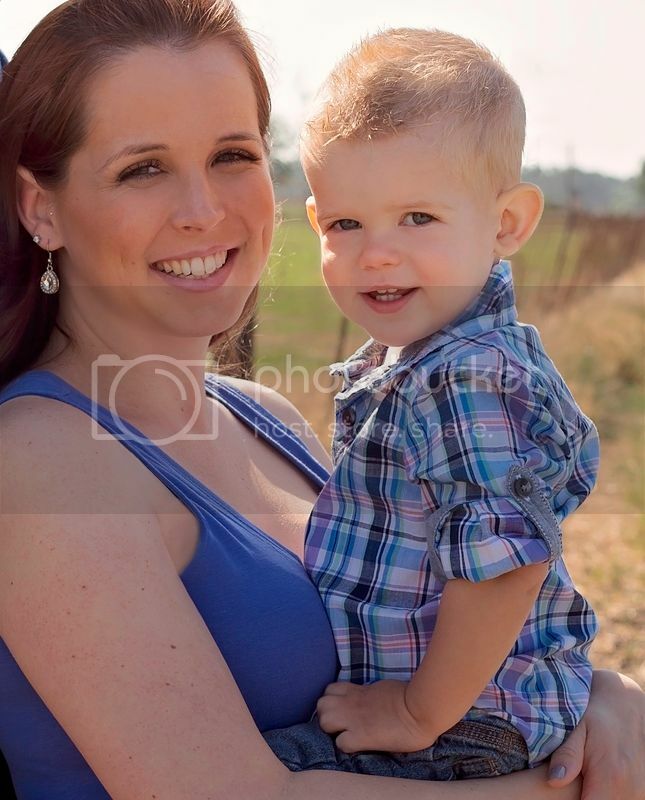 And I am now going to share with anyone who happens to read my little blog! Trust me, you’re gonna want to print this one out and keep it! 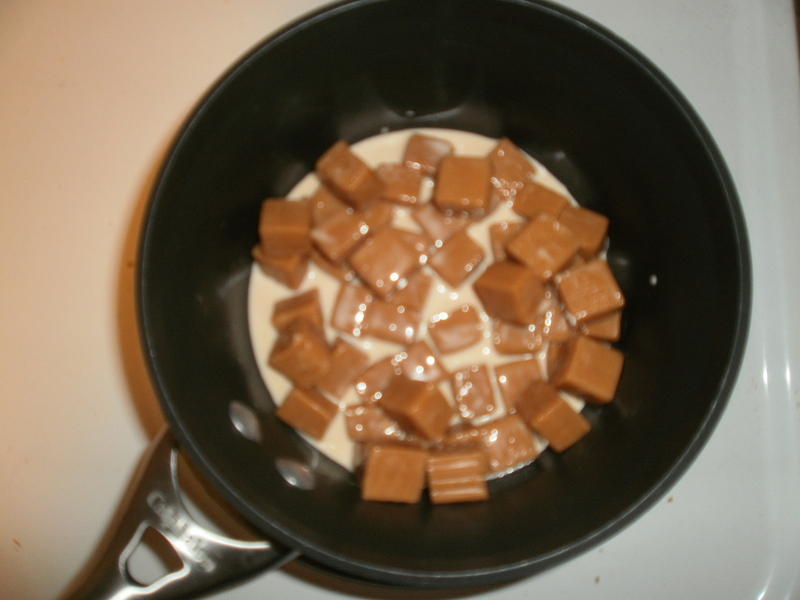 Unwrap caramels and put in small pot with 1/3 cup (half of the can) of evaporated milk. Turn on low and stir every once in a while to get things melty. We eventually want it to be smooth, but it can get started while we get the rest ready. 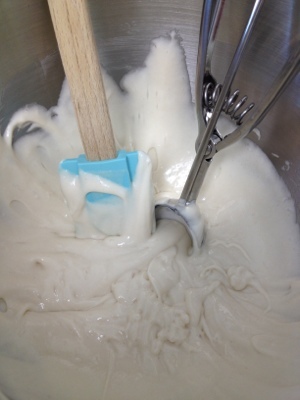 Beat together cake mix, the rest of the evaporated milk, and the margarine. 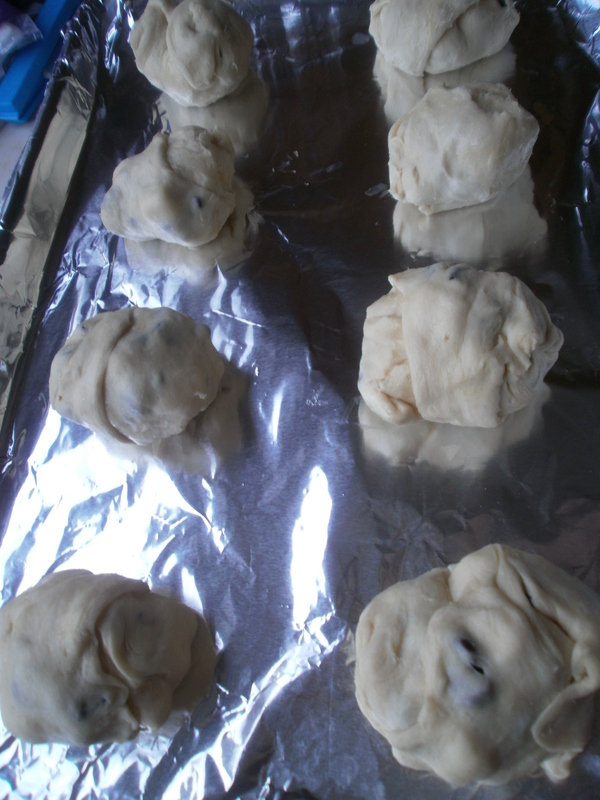 It will eventually turn into a ball of dough. 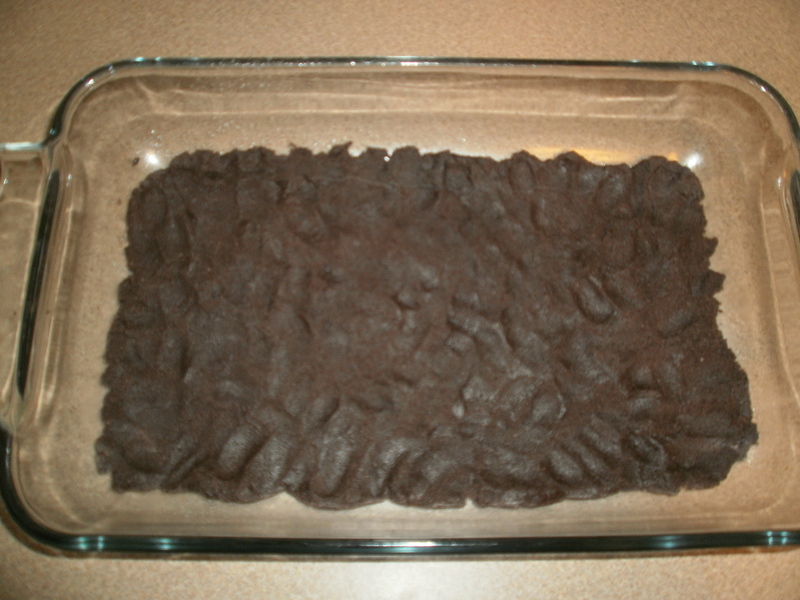 Press half of the dough into the bottom of a greased 9×13 inch pan. Bake at 350 for 6 minutes. 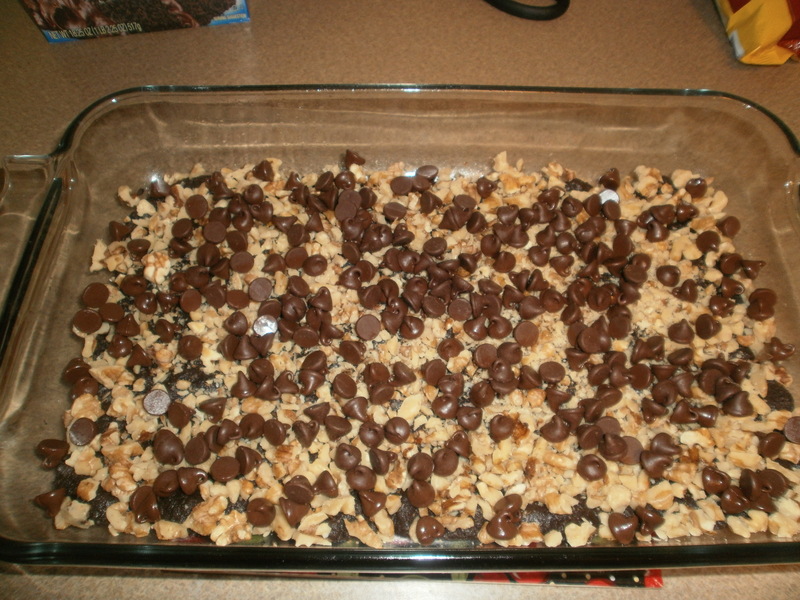 Pull the pan out of the oven and sprinkle 1 cup of chopped walnuts over the top of the dough, followed by the chocolate chips. 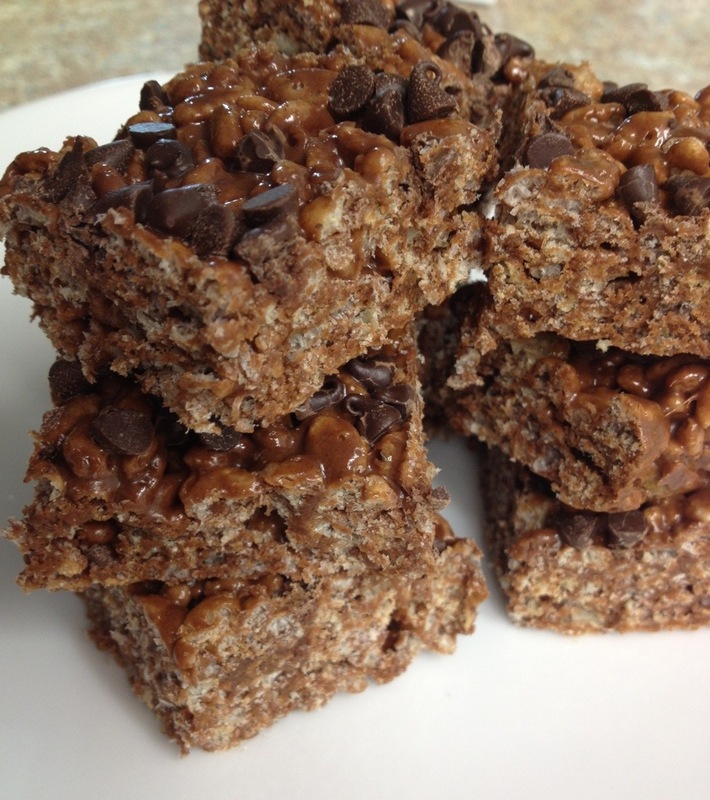 When the caramel is good and melty smooth, pour it evenly over the top of the chocolate chips. 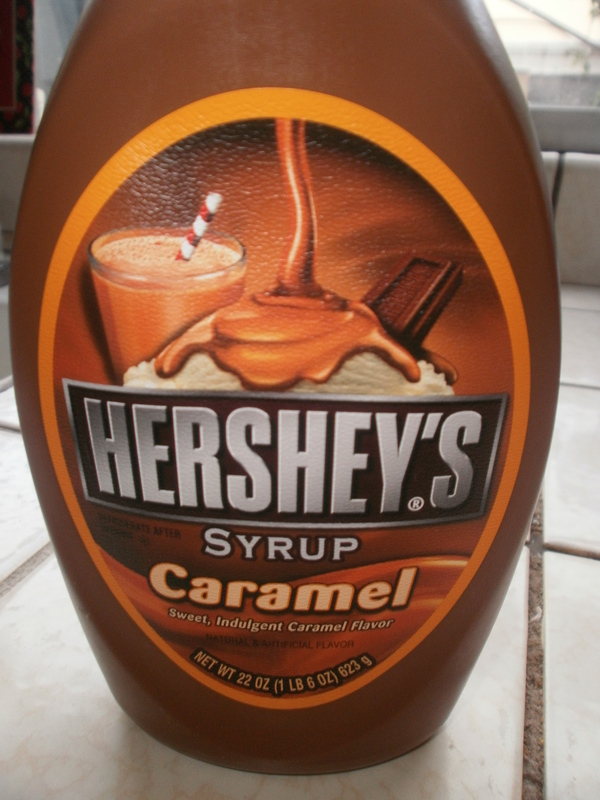 Don’t drool into the caramel!!! The rest of the cake/dough mixture goes on top. 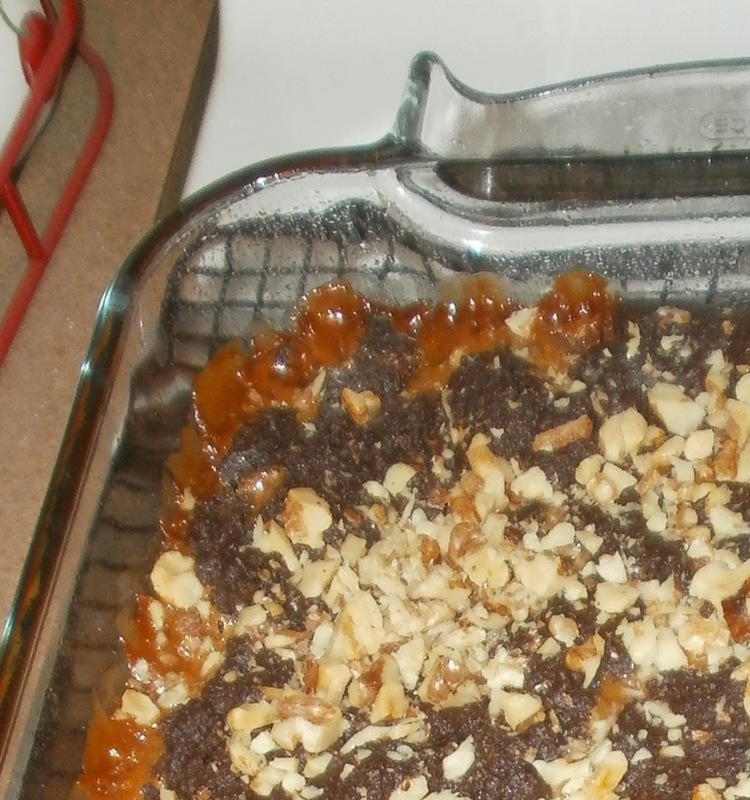 I tried to smoosh it down and it wasn’t working well with the caramel there. 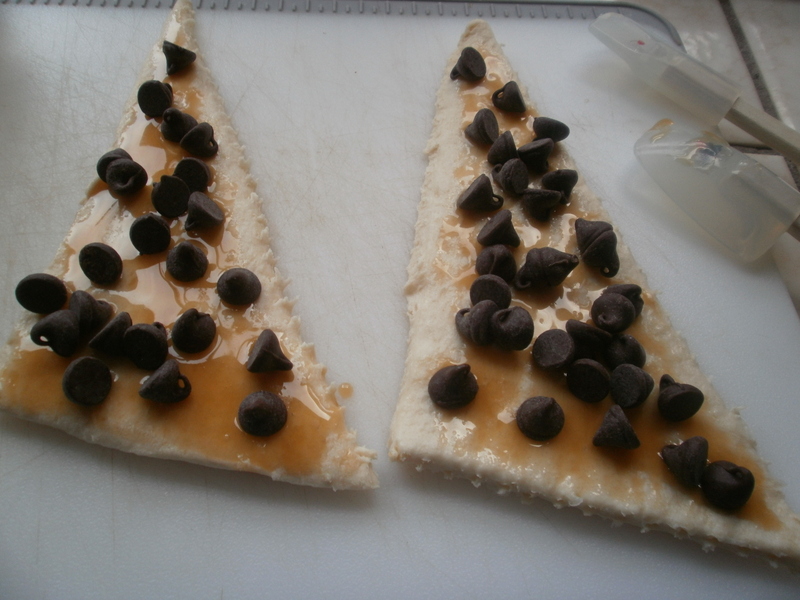 Instead I took small pieces of the dough and flattened it as much as I could with my fingers then laid it on top the caramel. It doesn’t need to be perfect, just as good of coverage as possible. Pop the pan back in the oven and bake for 20 minutes. Let cool completely then cut up and serve. These pics arestraight out of the oven. 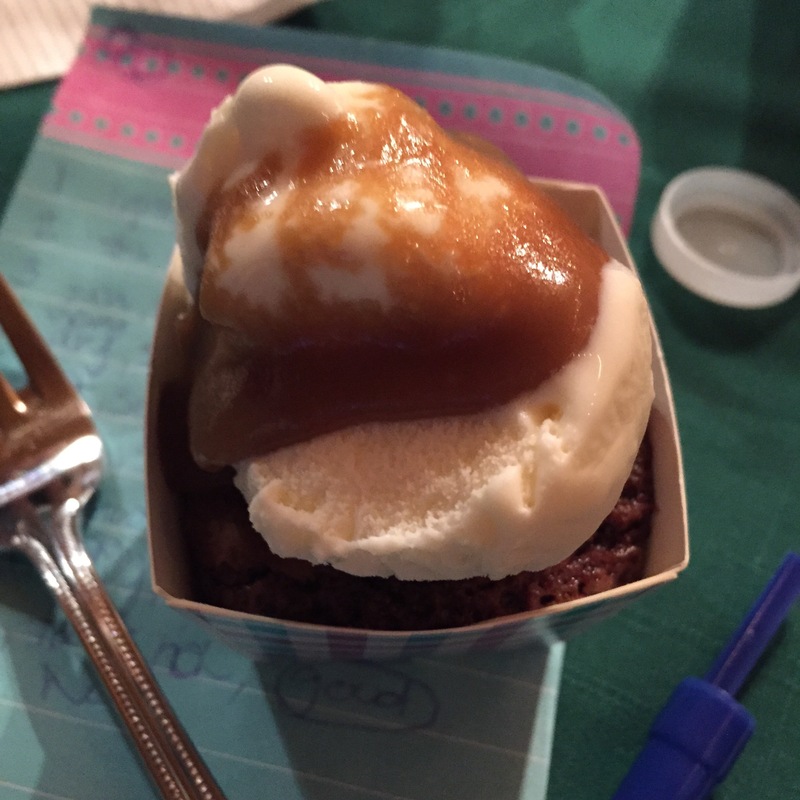 Look at the crispy gooey caramel on the corner! Plated and ready for the wine party! 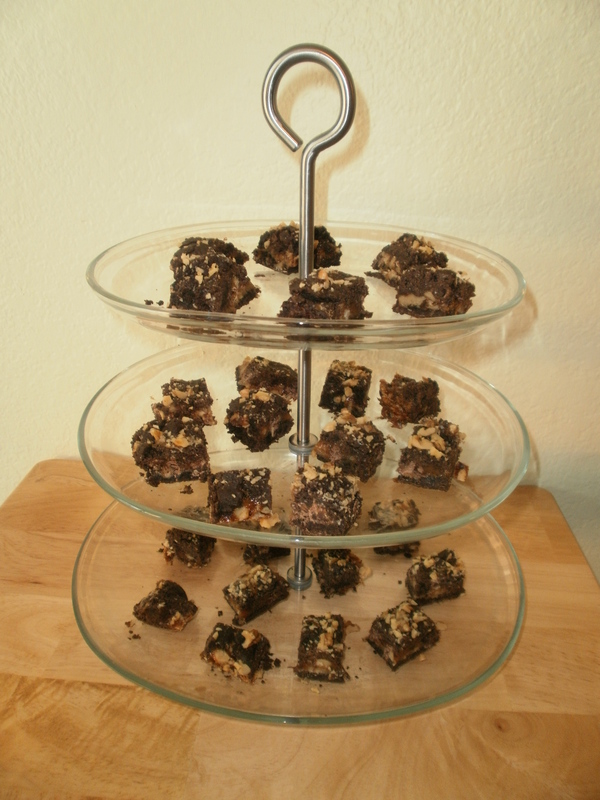 The brownies were brought out just in time for the red wines, and they paired perfectly! 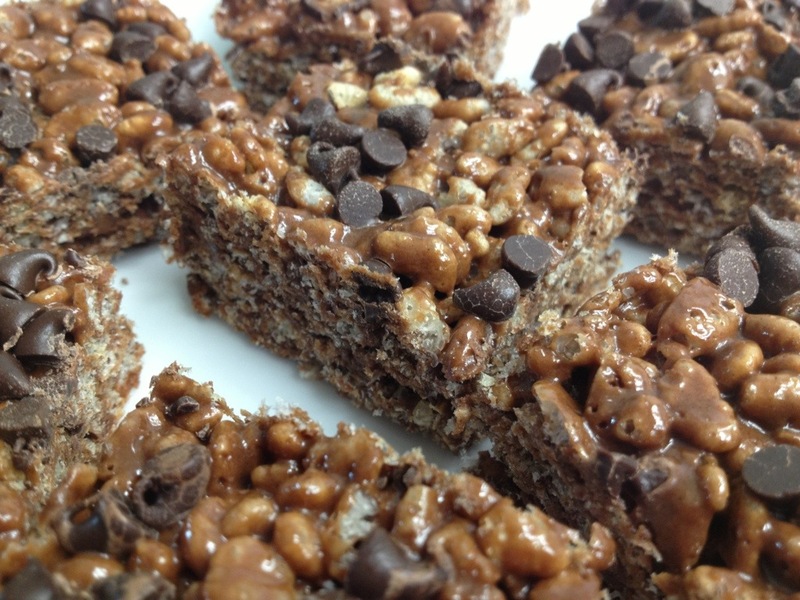 I will definitely be making these again and again and again… you should too!